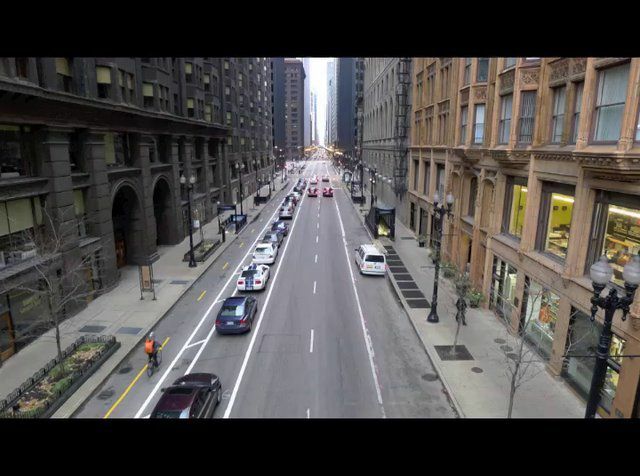 In the mid-20th century, many 2-way downtown streets were converted to 1-way to streamline traffic operations, reduce conflicts, and create direct access points to newly built urban freeways. Today, many of these streets operate significantly below capacity and create swaths of empty pavement in downtown areas. 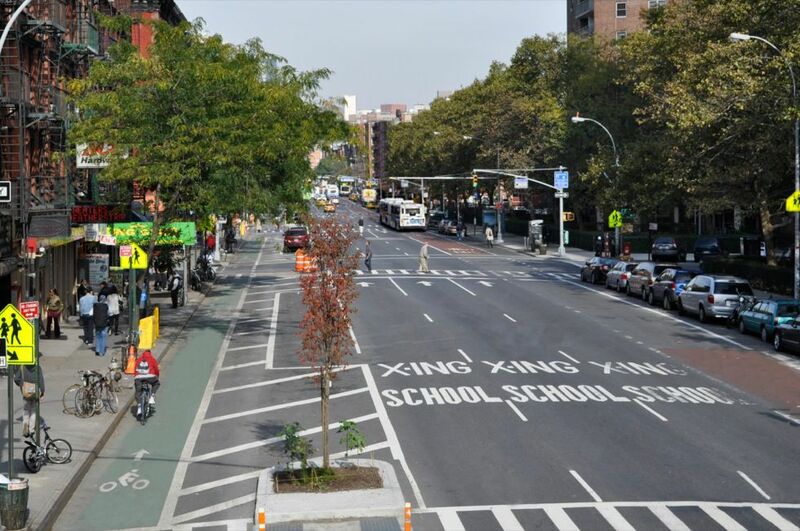 While many cities are converting these streets back to 2-way operation, these broad roadways can be narrowed using cycle tracks and transit lanes, which require less cost and analysis, and optimize usage of the street as a public space. 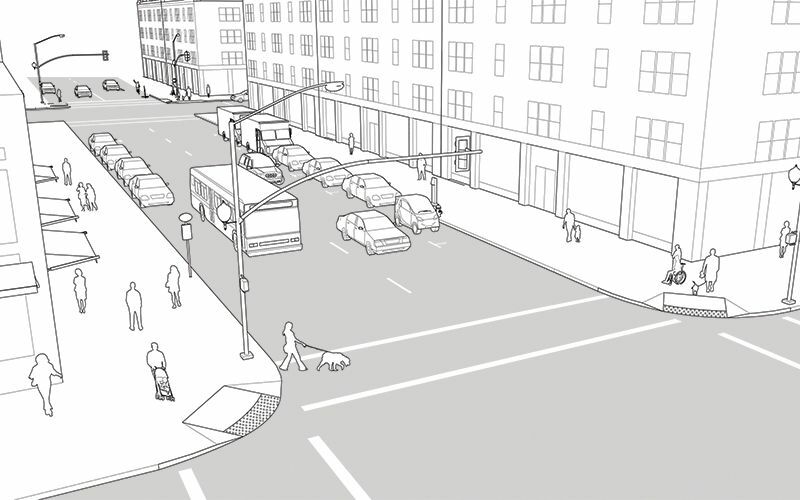 The street illustrated below depicts a 46-foot roadway within a 86-foot right-of-way. 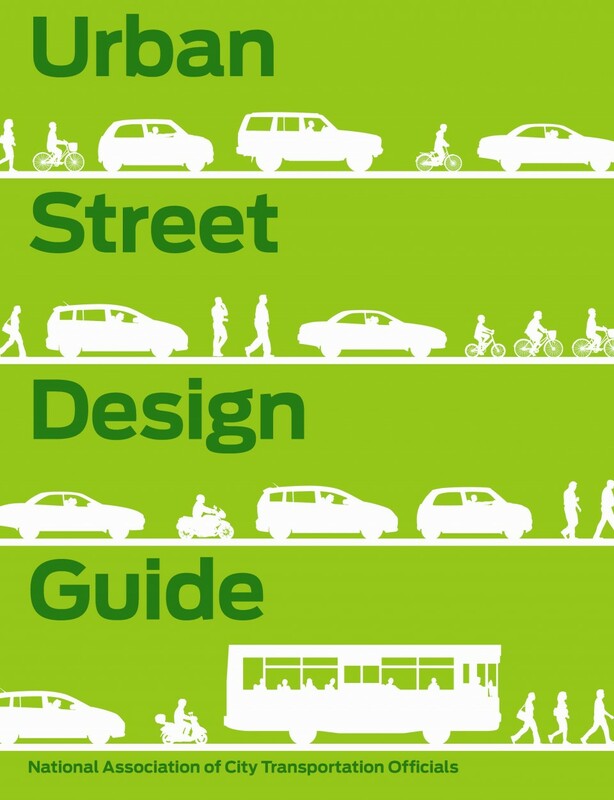 Undifferentiated street space and wide travel lanes can result in higher speeds and are an ineffective use of valuable street space. 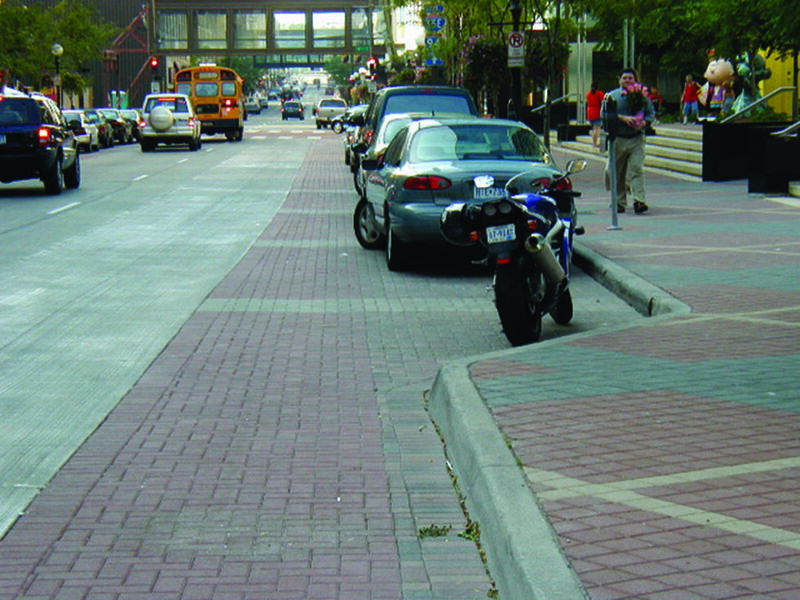 The existing conditions shown in the illustration above are typical of many city streets in the downtown core. Many of these streets have been designed for a 15-minute peak period and remain well below capacity at other times of day. 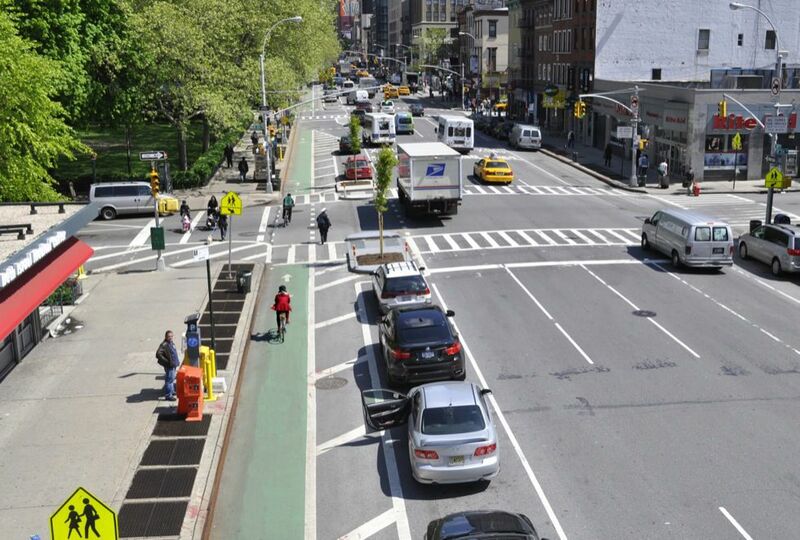 1 Undifferentiated street space and wide travel lanes can result in higher speeds and are an ineffective use of valuable street space. 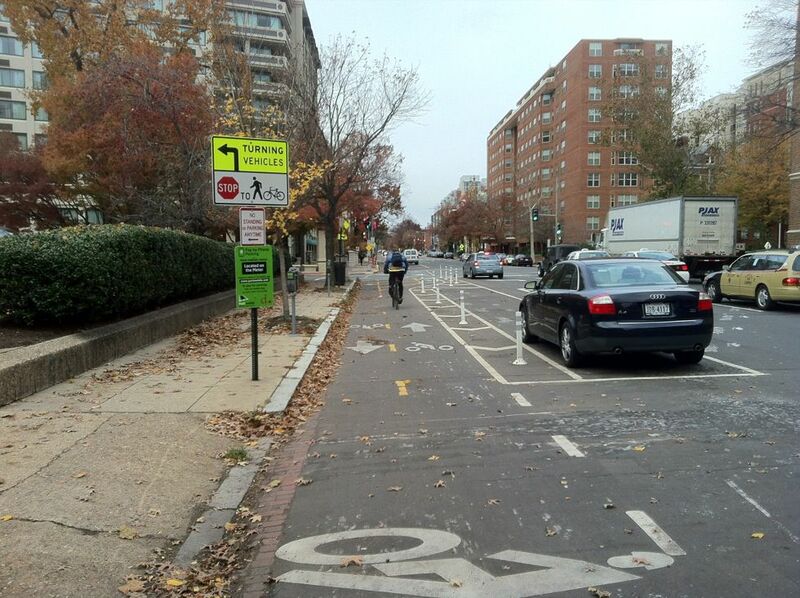 Many downtown 1-way streets have travel lanes with extra capacity or peak-hour restricted parking lanes. 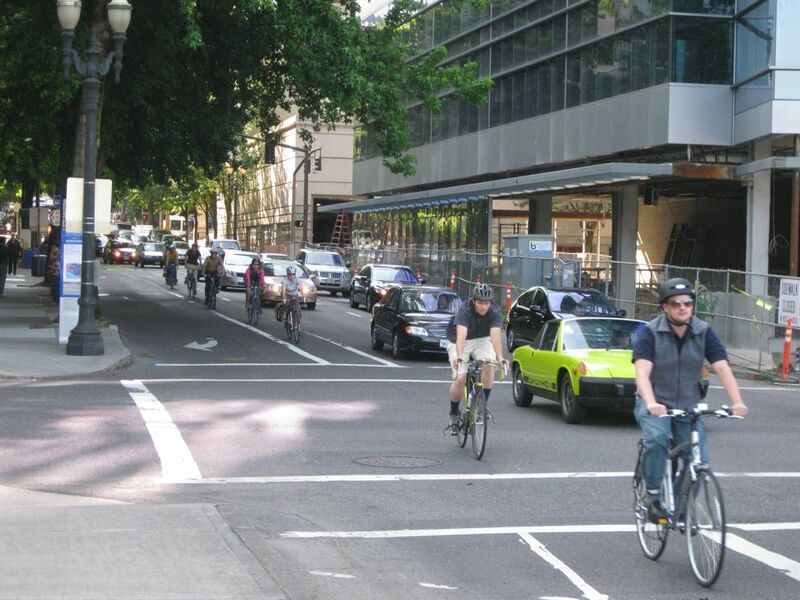 Bicyclists feel uncomfortable riding between fast-moving traffic and the door zone. 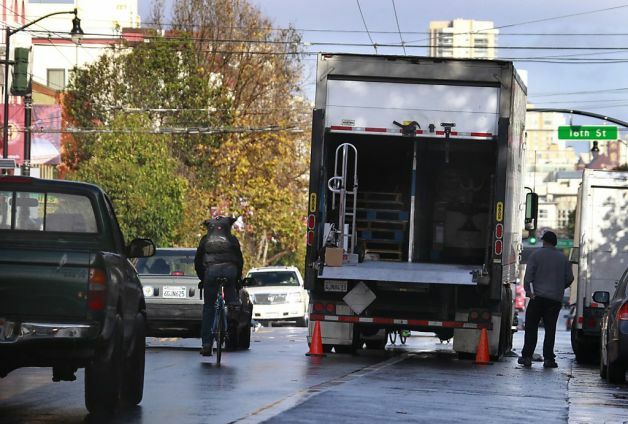 Double-parked vehicles may cause bicyclists to weave into traffic unpredictably, creating unsafe conditions for both motorists and bicyclists. 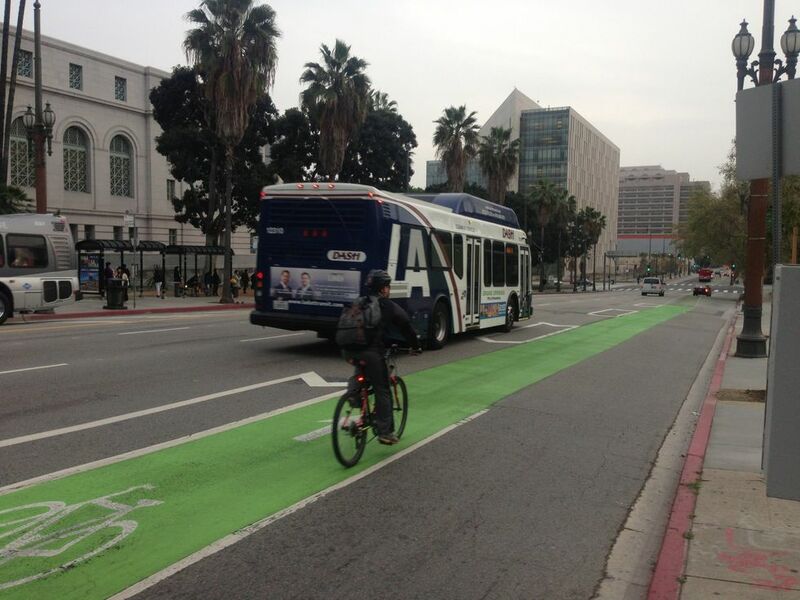 2 On downtown streets with heavy bus traffic, a red bus-only lane may be applied at curbside or offset. 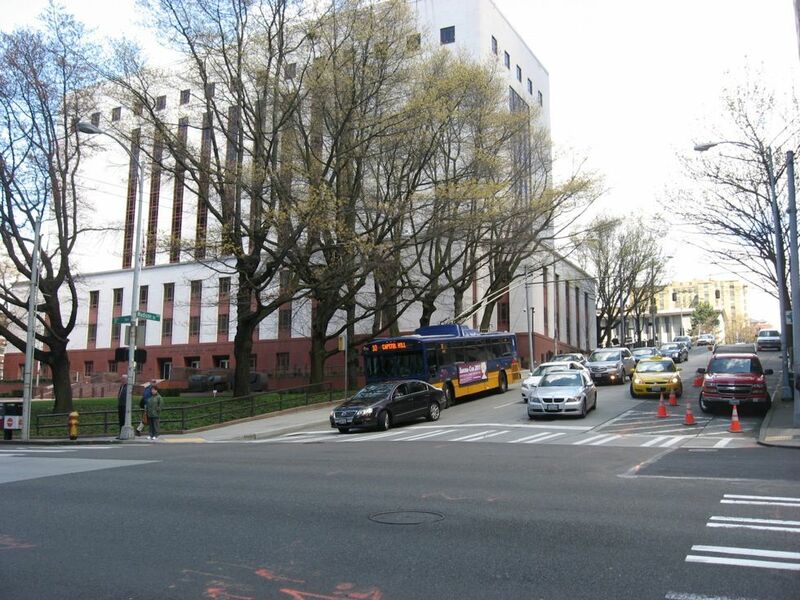 Bus-only lanes require significant enforcement and may be encroached upon by double parked cars and loading vehicles without proper enforcement. Combine bus-only lanes with bus bulbs, shelters, and transit signal priority to increase their effectiveness. 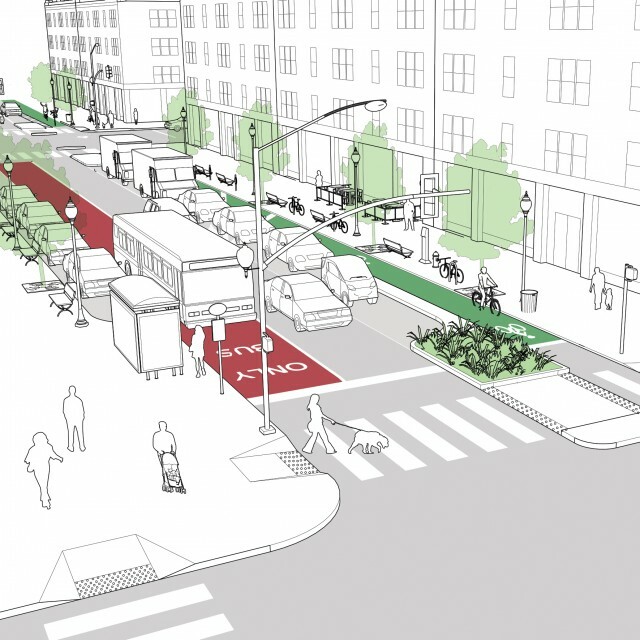 Analyze existing traffic volumes to determine whether or not peak-hour lanes can be removed and converted to on-street parking, bus or bike lanes, or additional sidewalk space. 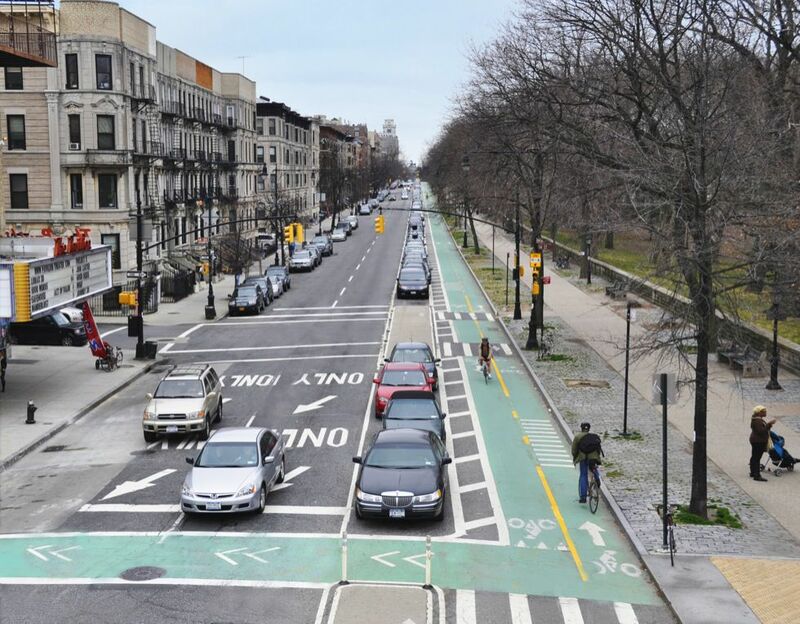 Converting underutilized travel lanes to other uses can eliminate potential conflicts within the roadway and improve traffic operations. 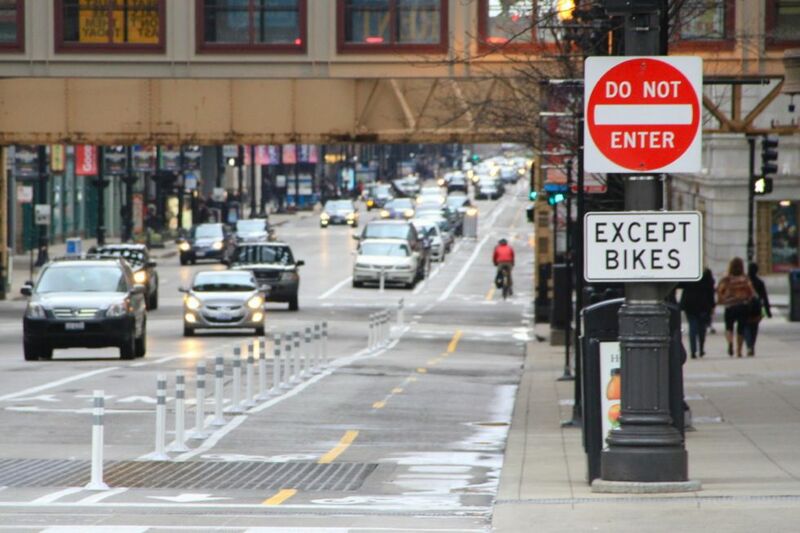 3 A raised cycle track applied on the left side of a 1-way street, removes cyclists from potential conflicts with bus traffic and creates a pedestrian safety island that decreases exposure time for pedestrians. 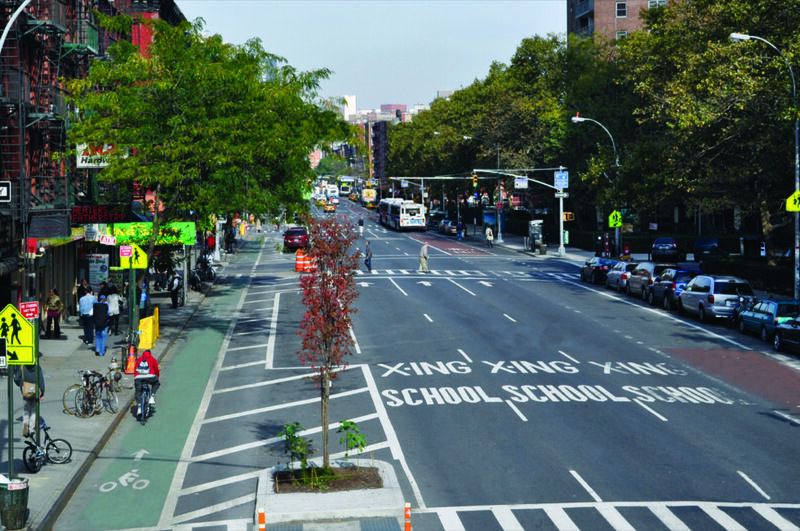 In 2010, 1st Avenue in New York City was redesigned with a 1-way cycle track, Select Bus Service, and pedestrian safety islands. 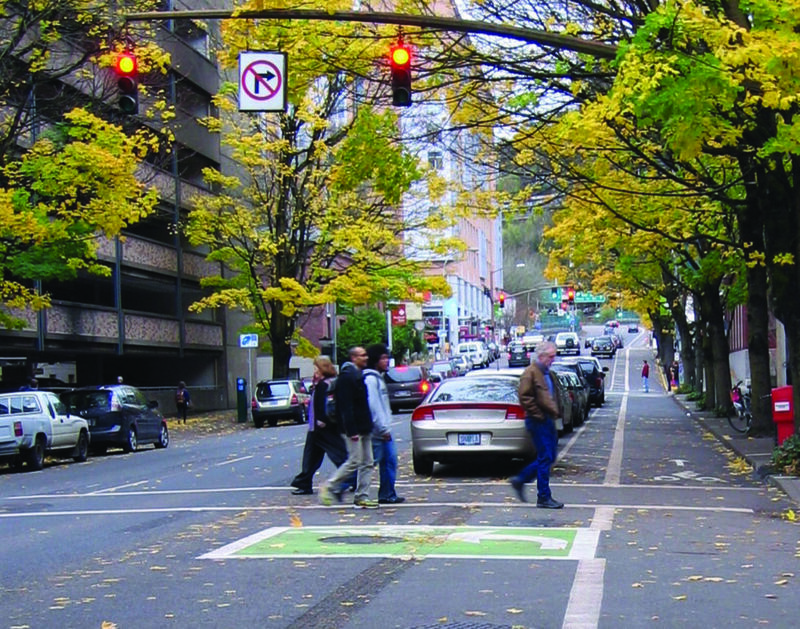 The redesign not only carved out room for bicyclists, but shortened long, unsafe crossings for pedestrians. The avenue has since become a model for the successful transformation of the city’s major avenues. 4 As part of a full reconstruction, consider widening sidewalks, especially when they have previously been narrowed in favor of additional travel lanes. Dowling Associates, Inc. “Chinatown: One-Way Street Conversion Study.” Prepared for the City of Oakland, May 2009. Leland Consulting Group. “The Impact of Traffic Patterns on Corridor Retail.” Lead Consulting Real Estate Strategies, 2007. Sisiopiku, Virginia P., and Jugnu Chemmannur. 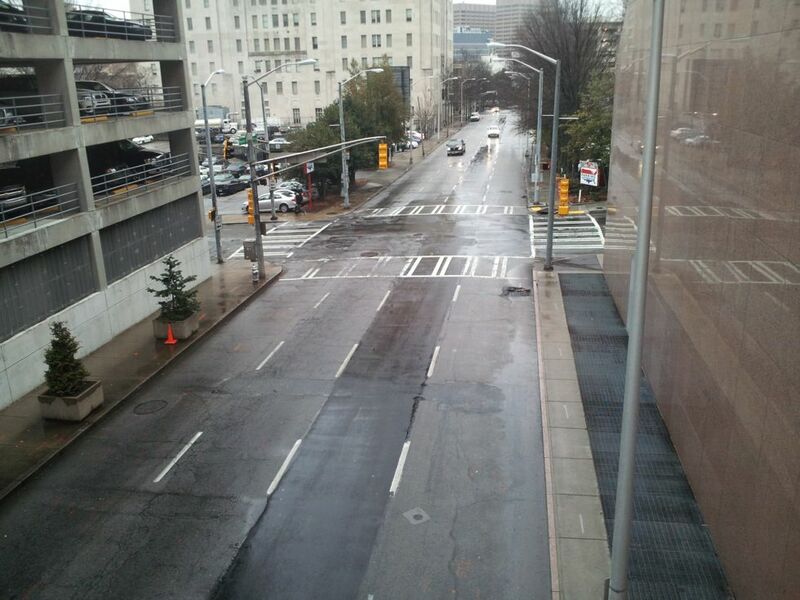 "Conversion of One-Way Street Pairs to Two-Way Operations in Downtown Birmingham." Presented at the Metropolitan Conference on Public Transportation Research, Chicago, Illinois, 2008. Walker, Wade G., Walter M. Kulash, and Brian T. McHugh. “Downtown Streets: Are We Strangling Ourselves on One-Way Networks?” Transportation Research Board Urban Street Symposium (2000): 1-18. References for Downtown 1-Way Street: 4 found. 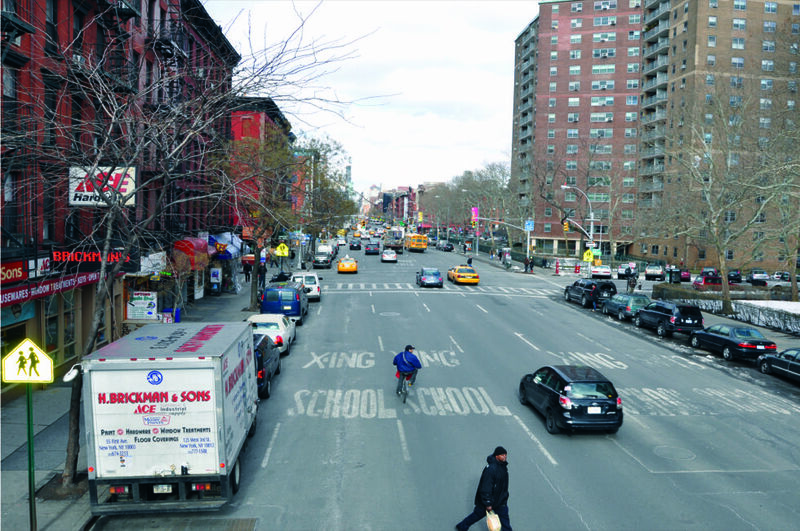 Dowling Associates, Inc. "Chinatown One-Way Street Conversion Study." Public Works Agency, City of Oakland, Oakland, CA. Sisiopiku, Virginia P & Jugnu Chemmannur. 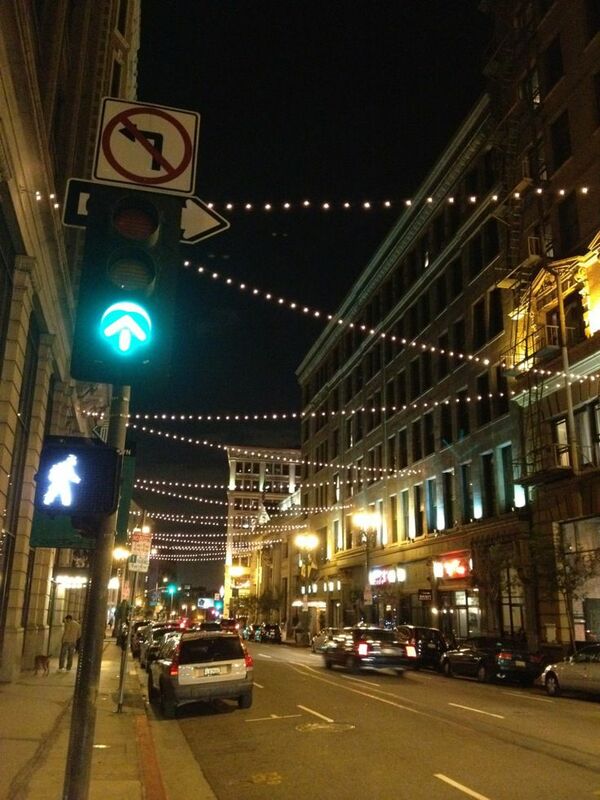 "Conversion of One-Way Street Pairs to Two-Way Operations in Downtown Birmingham." Presented at the Metropolitan Conference on Public Transportation Research, Transport Chicago, Chicago, IL. Walker, Wade G, Walter M Kulash, & Brian T McHugh. 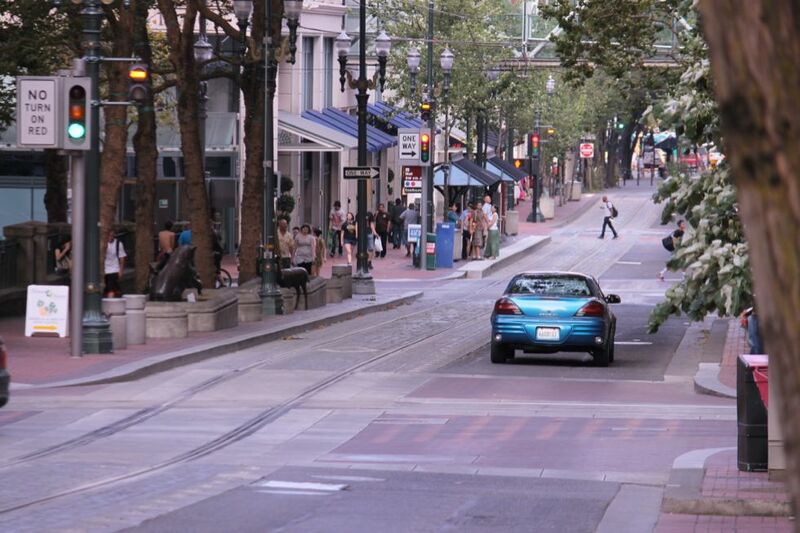 "Downtown Streets: Are We Strangling Ourselves on One-Way Networks?." 2nd Urban Street Symposium, Transportation Research Board, Washington, DC. Leland Consulting Group. 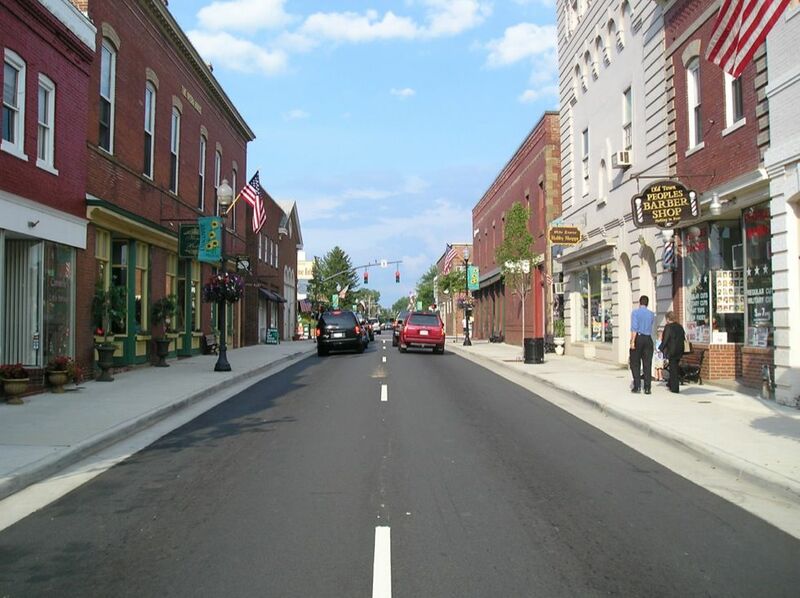 "The Impact of Traffic Patterns on Corridor Retail." Lead Consulting Real Estate Strategies, Leland Consulting Group, Portland, OR.